Every Sunday our worship bulletin contains the invitation: “Please speak to the pastor if you would like to join the church.” Visitors might find this invitation confusing. After all, they’ve just done that. They’ve joined our church, to sit with us and pray and praise and listen with us. If they have a good experience, they might join us again, either for worship or at some other gathering. And, since we’re a friendly bunch, we’ve made them welcome. In that sense, they belong. So what do we mean by saying that we’d be happy to talk to them about joining us? That refers to membership in our organization. We’re inviting them, if they haven’t done so already, to make a public declaration that they want to follow Christ, and to be listed on our roll of members. If you attended our “New Beginnings” meetings, you know that membership in that sense isn’t what our ministry is focused on. We’re trying to be a discipleship church, not a membership church. That means we’re on a mission to bring Jesus to our community, not necessarily to get our community onto our church rolls. But the fact is, you can't have a discipleship church unless there are disciples. That means not just names on a list, but people who are committed to growing in faith and walking together in the way of Jesus. So in addition to making people feel welcome, we try to encourage that kind of commitment. 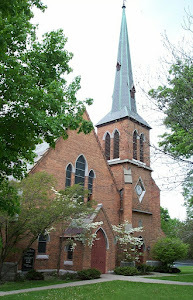 A Presbyterian Church in New Jersey, according to Presbyterians Today, asks members to sign a covenant that begins, “We are called to membership in a church that supports serious Christian discipleship.” The covenant includes core spiritual practices such as on-time weekly worship attendance, at least 30 minutes of daily prayer and meditation, sacrificial giving (three percent of income as a minimum goal), and mission service. At the same time, the church welcomes everyone and encourages full participation, whether people are ready to commit to those practices or not. It could be that the reason more people aren't interested in becoming members is that they don't see what difference it makes. But committing our lives to Jesus and belonging to his people is basic. It had better make a difference! Let me repeat: speak to me if you'd like to join the church. I mean, really join the church.